Sailing Conditions in Grenada – the country is blessed with a wonderful climate! The island sits right on the edge of the hurricane belt and the sailing area is rarely affected by storms. You can sail safely all year round with minimal risk of disruption. Temperatures vary little during the year, being around 28 C, 82 F in high season and 31 C, 88 F in low season. Dry season extends from Jan – May, but even in the “rainy season” the weather in Grenada and the Grenadines is normally very sunny with only brief showers during the day, with any heavier rainfall tending to come in the evenings – the weather is warm as is the rain, the locals call it “liquid sunshine! Seas are 5 – 7 feet in high season and 3 – 5 feet during the summer months. Thanks to these wonderful sailing conditions and temperatures, a Grenada sailing vacation makes perfect sense for couples, family or friends. 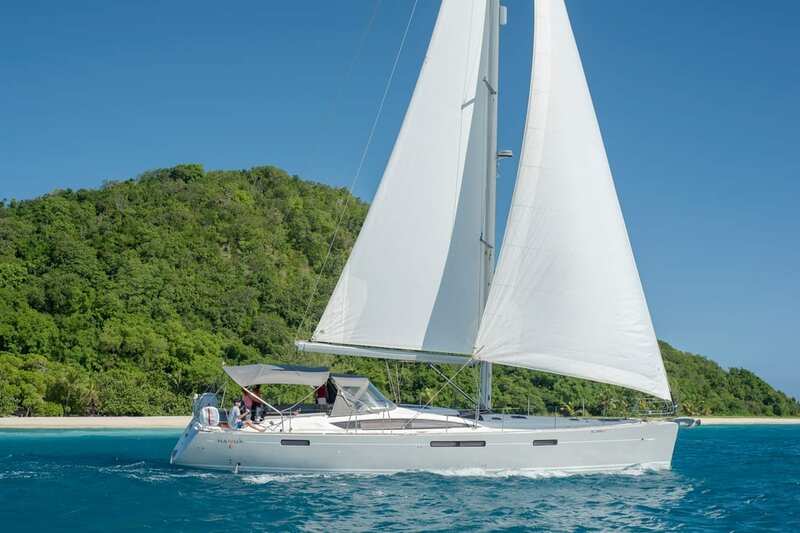 Horizon Yacht Charters has several recommended sailing itineraries for our yacht charter guests, and once off the water there are many enjoyable activities available in Grenada. See our activities page here for more information. You can view the latest Grenada weather forecast and learn more about current sailing conditions below. You can take a look at the Accuweather website for the lates Grenada weather forecast, and hence the forecast Sailing Conditions in Grenada, on their website here.